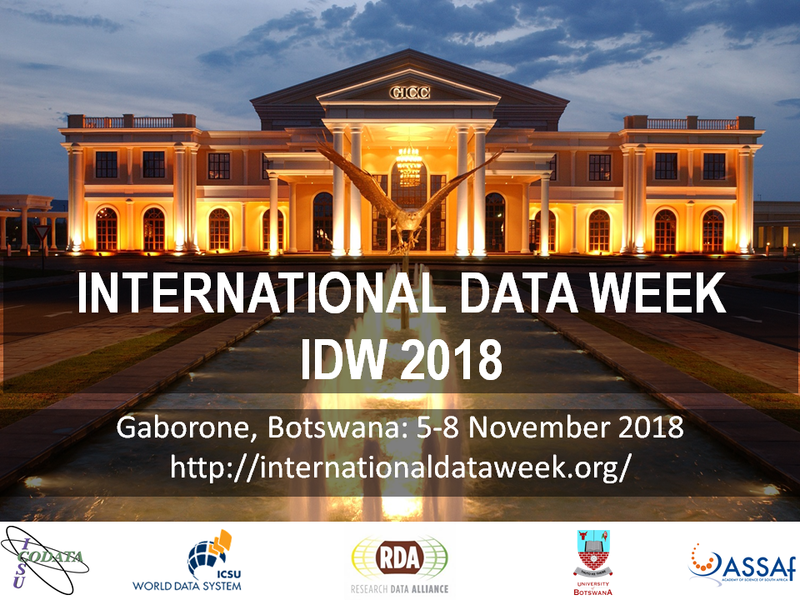 The second edition of International Data Week (IDW 2018) will be held on 5-8 November 2018 in Gaborone, Botswana. Hosted by the Botswana Open Science and Open Data Forum, IDW 2018 will bring together data professionals and researchers from all disciplines and from all parts of the globe. 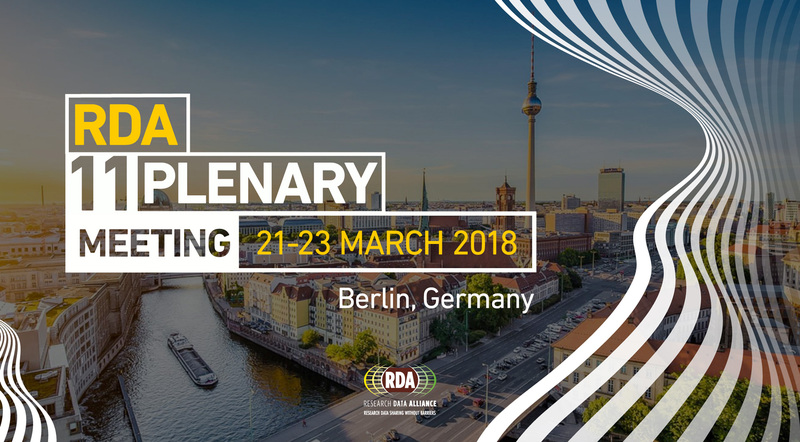 IDW 2018 combines the RDA's 12th Plenary Meeting, the biannual meeting of the research data community, and SciDataCon 2018, the scientific conference addressing the frontiers of data in research. The 10th RDA Plenary Meeting will take place from 19 to 21 September 2017 in Montréal, Canada. The meeting is co-organised by RDA, the Université de Montréal and Research Data Canada, Canada. Hosted and co-organised by the Japan Science and Technology Agency under the theme“Making data sharing work in the era of Open Science” the 7th Research Data Alliance (RDA) Plenary meeting will be held in Tokyo, Japan from the 1st to the 3rd of March 2016. The 6th RDA Plenary was hosted in the Conservatoire national des arts et métiers (Cnam), Paris from 23-25 September 2015. The theme of the international gathering of industry and academic experts, pioneers and innovators involved in the data ecosystem was Enterprise Engagement with a focus on Research Data for Climate Change. RDA's 5th Plenary Meeting was held in San Diego, California from March 8 -11, 2015, at the beautiful Paradise Point Hotel.For those unfamiliar with RDA, the Plenaries are multi-day meetings held twice a year in various locations worldwide to provide the RDA community an opportunity to network and collaborate with peers in various disciplines, and hear from industry experts and world leaders on topics related to research data sharing and exchange. 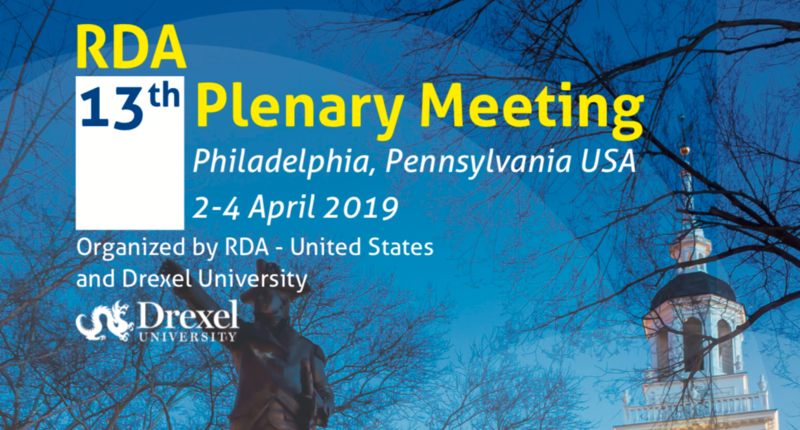 The Research Data Alliance (RDA) builds the social and technical bridges that enable open sharing of data to address cross-border & cross-disciplinary challenges. The Research Data Alliance Fourth Plenary Meeting in Amsterdam showcases the first concrete outputs from the RDA Working Groups.